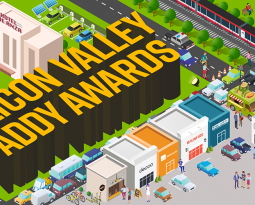 AAF Silicon Valley Addys – 2015 Call For Entries! Home / Events / 2015 Call For Entries! The final deadline is Thursday Feb. 12 at midnight. It’s time to rally and pull together your best work of 2014 and enter the American Advertising Awards 2015 (formerly the ADDYs). No matter what your group was labeled — Brainiacs, Jocks, Overachievers or Goths — you probably did some amazing things last year that you would love to win an ADDY for, and make everyone else in the class jealous. So look in your locker from top to bottom for your best digital, print, logos, broadcast, sales promotions, campaigns, pro-bono campaigns and self-promotion work. Don’t let the word “Advertising” throw you. It’s just another label. But don’t wait. The final deadline is Thursday Feb. 12 at midnight ENTER HERE. Become a member or pay your membership fees and save a pretty penny on your ADDY entries. Questions? Email Scott Lahde at scottlahde@yahoo.com. 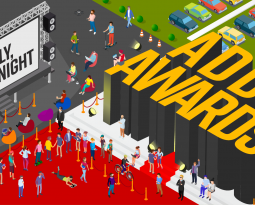 The American Advertising Awards, formerly the ADDYs, is the advertising industry’s largest and most representative competition, attracting over 40,000 entries every year in local AAF Club (Ad Club) competitions. The mission of the American Advertising Awards competition is to recognize and reward the creative spirit of excellence in the art of advertising.